As summer draws to a close and children head back to school, many parents are doing everything they can to ensure a healthy school year by scheduling physical exams and making sure vaccinations are up to date. But are parents taking care of themselves? Board-certified dermatologists from the American Academy of Dermatology say that skin cancer - the most common cancer in the United States - can sneak up on anyone, including busy parents. "As a mom, I understand how easily parents' health can take a back seat to the needs of the family," said board-certified dermatologist Doris Day, MD, FAAD, clinical associate professor of dermatology, NYU School of Medicine/Langone Medical Center, New York. "However, it's important to value your own health and well-being as well as your children's. Take a few minutes - even if it's right after you shower or while you're putting on your pajamas in the evening - to check your skin regularly for the signs of skin cancer. It could save your life." A - is for Asymmetry: One half of the mole does not match the other half. B - is for Border irregularity: The edges are ragged, notched or blurred. C - is for Color that varies from one area to another. D - is for Diameter: While melanomas are usually greater than 6mm (the size of a pencil eraser) when diagnosed, they can be smaller. E - is for Evolving: A mole or skin lesion that looks different from the rest or is changing in size, shape or color. A new video from the Academy - Can you spot skin cancer? - emphasizes the importance of regularly checking your skin. The video uses ultraviolet technology to show the sun damage hidden underneath people's skin. Since you can't see the sun damage under your skin, checking your skin regularly can help you spot skin cancer when it's most treatable. "Current estimates are that one in five Americans will develop skin cancer in their lifetime, and one person dies of melanoma every hour," said board-certified dermatologist Ellen S. Marmur, MD, FAAD, associate clinical professor of dermatology, Icahn School of Medicine at Mount Sinai Medical Center, New York. "Check your skin regularly, and if you see anything that is changing, itching or bleeding, make an appointment right away to see a board-certified dermatologist." For hard-to-see areas, such as the back, dermatologists recommend finding someone you trust, such as a spouse or family member, to help you check your skin. For more information about how to prevent and detect skin cancer, visit the Academy website SpotSkinCancer.org. There, you can download a body mole map for tracking changes in your skin and find free SPOTme ® skin cancer screenings in your area. SPOT Skin Cancer TM is the Academy's campaign to create a world without skin cancer through public awareness, community outreach programs and services, and advocacy that promotes the prevention, detection and care of skin cancer. Headquartered in Schaumburg, Ill., the American Academy of Dermatology, founded in 1938, is the largest, most influential, and most representative of all dermatologic associations. 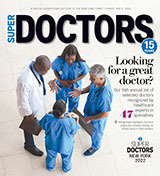 With a membership of more than 18,000 physicians worldwide, the Academy is committed to: advancing the diagnosis and medical, surgical and cosmetic treatment of the skin, hair and nails; advocating high standards in clinical practice, education, and research in dermatology; and supporting and enhancing patient care for a lifetime of healthier skin, hair and nails. For more information, contact the Academy at 1-888-462-DERM (3376) orwww.aad.org. Follow the Academy on Facebook (American Academy of Dermatology), Twitter (@AADskin), or YouTube(AcademyofDermatology).